Oscar dos Santos Emboaba Júnior became a member of The 100 last year following his excellent performances for Brazil at the FIFA under 20 World Cup. A hat trick against Portugal in the final by the versatile midfielder highlighted the talents of a supremely gifted young footballer and added to the rapidly increasing value of the Internacional starlet. Oscar had, after a significant bout of injury problems at the very start of his career, began to excel for Internacional since arriving in controversial circumstances from São Paolo in 2010. Operating as a deep lying playmaker, a more advanced trequartista, as a second striker or, occasionally, as a winger, he became one of South America’s hottest properties. Indeed his versatility would see him occupy several different positions in any one match, making him difficult to mark and highlighting the sort of ability that will have seen many a rhapsodic scouting report filed. 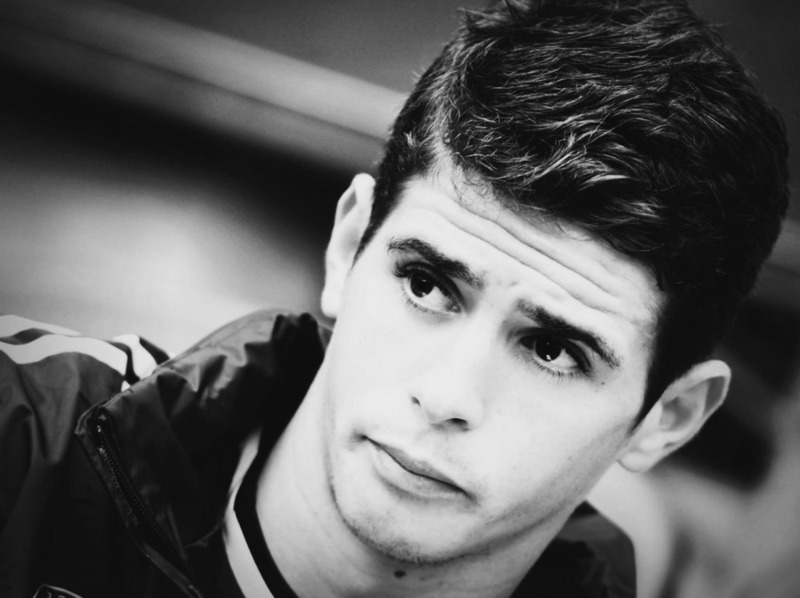 Unlike Neymar at Santos, Oscar was always likely to be sold on to Europe as soon as an acceptable offer was tabled. Despite interest from Real Madrid and Milan, Chelsea moved quickly to secure the services of the young midfielder for an undisclosed fee, believed to be in the region of €20 million. While it may be difficult to ever justify an eight figure sum as ‘a snip’, Oscar is clearly on an steeply ascending trajectory and Chelsea have bought well, especially when one considers the reported €40m PSG shelled out for Lucas Moura. Regular strikes in his final season for Internacional were a clear indicator that this is a player that can finish, but it is Oscar’s ability to create that is perhaps the most exciting aspect of his game. As mentioned earlier, he can function well in a number of positions. Springing counter attacks from deep, delivering sumptuous crosses from the flanks or playing that killer ball in the penalty area. Oscar presses all the right buttons for an attack minded eleven. Performances at Chelsea have been good and there is a feeling in Brazil that Oscar, rather than Neymar, might become the most important player for the national side over the coming decade. The national bouts of concern caused by Paolo Henrique Ganso’s regular injuries have been eased by the knowledge that if one Socrates heir apparent doesn’t make it, another cab is waiting on the rank. Oscar’s biggest issue over the coming year will be his continuing adaptation to the pace and power of the English Premier League. Things look good though, this is a player that wants the ball constantly and unquestionably possesses the talent and footballing nous to learn and improve quickly. Our main reservation with Oscar is that we think he could have done with another year in Brazil to continue confidence building and obtaining further self assurance - characteristics that will benefit him greatly in future. However all the indicators suggest that his new club have earmarked him as the focal point of an attacking team for years to come, and while that can’t be a bad thing, the regular turmoil at Chelsea means you can never be sure.